In the blink of an eye, a life can be taken when a driver operates their vehicle recklessly. A prime example was the tragic accident that occurred on East 10th Avenue in Hialeah. A man was unloading a box truck when another driver slammed into him, according to the Miami Herald. The driver of a white 2001 Nissan Xterra suddenly veered into the middle lane on 10th Avenue and crashed into the box truck. The victim, a 54-year-old man, was standing in the back of the box truck and died at the scene. Police indicated that charges were pending against the driver of the Xterra. According to the National Safety Council, nearly 1,600 people died in car wrecks during the first six months of 2016 in Florida. That is a 43 percent increase relative to the same period in 2014, according to News Channel 8. Nationwide, the number of deadly accidents are also on the rise. Roughly 19,100 people were killed in car wrecks and the total estimated cost of these fatalities and injuries is approximately $205 billion, according to the aforementioned News Channel 8 article. If you lost a loved one in a preventable car crash, you have the ability to hold the negligent driver responsible through a wrongful death claim. Retaining the services of a wrongful death lawyer is probably something you never thought you would need to do, but it is important when you’ve lost a loved one in a sudden accident. The victim who lost his life in the accident described above probably had a spouse, children, parents, siblings, etc. His untimely passing reverberates across generations and will likely adversely affect multiple people. In some extreme cases, a plaintiff could attempt to pursue punitive damages. These are damages that are not designed to compensate a victim for their loss. Instead, the objective is to punish the negligent party and send a signal that their behavior will not be tolerated. However, it is important to keep in mind that the threshold is high for a plaintiff to pursue punitive damages. For example, the negligent actions of the driver must have been reckless and wanton. In addition, punitive damage awards are capped at three times the amount of compensatory damages awarded by a jury, or $500,000, whichever is greater. 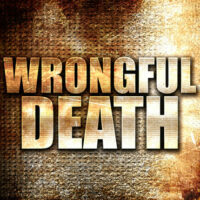 As you can see, pursuing a wrongful death claim can get complicated. This is why you need to contact Alan Goldfarb, P.A. in Miami to discuss your potential case. We are here to help. Call us to schedule a free, confidential consultation.